Are you desperately seeking more living space and trying to escape the busy streets and constant hustle-and-bustle of downtown and Chicago’s north side? If this sounds like an all too familiar problem, but living the suburban life just isn’t for you, try searching some of the awesome single-family homes currently on Chicago’s far-north side real estate market. Neighborhoods like Edison Park, Budlong Woods, and even parts of Rogers Park and Edgewater have plenty of attractive single-family real estate for sale, and many of these homes come with an affordable price tag. On the low-end, today’s home buyers shouldn’t have trouble finding a great deal on a single-family home that under $250,000, and even under $200,000 in some cases. On the high-end however, Far North Side Chicago single-family homes can list anywhere from $500,000 all the way up to around $1.5 million. 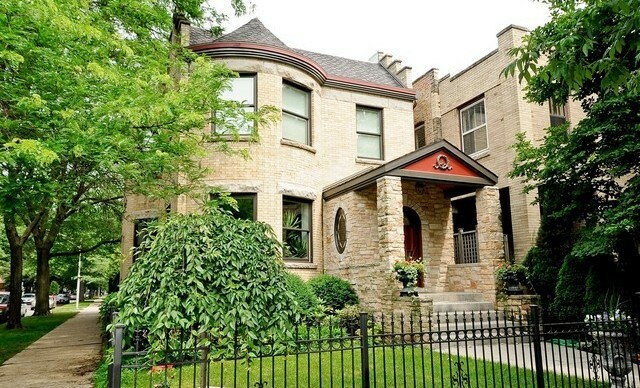 In Buena Park, which isn’t quite as far north as other neighborhoods like Edgewater or Rogers Park, some historic mansion homes list for between $1-4 million, depending on lot size, square footage, and interior and exterior finishes of course. The diverse options surrounding Far North Side Chicago single-family real estate make this a viable and attractive location for numerous home buyers. If you’d like more information or would like to schedule a private showing for a Far North Side Chicago single-family home, give Ted Guarnero a call today at (312) 566-8141 and begin searching for your dream home now!